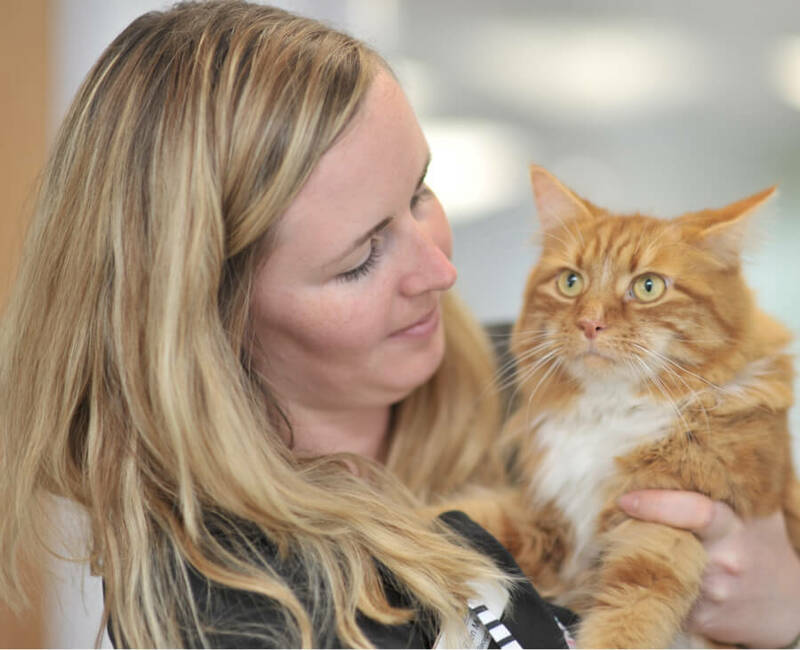 Our staff fully understand how to approach and handle cats gently with care and respect. We aim to make any visit to us with your cat as stress free as possible. A large quiet car park which has a stress free transfer to the reception area. You are warmly greeted at reception and given the option of a privacy cover for your cat’s basket. A separate cat waiting area, this area is completely separate and sound proof to avoid any stressful noises which are occurring in the waiting area. Separate cat consultation rooms with specially designed weighing scales. A quiet cat only treatment room for individual, private assessment of in-patients. A cat-friendly cat ward which features extra large kennel and designed specifically to prevent sight of other cats. Cat castles for privacy and to provide a higher view point within their kennel.